Many Family styles to choose from. If you don't see what you are looking for simply convo me & we can make it happen. 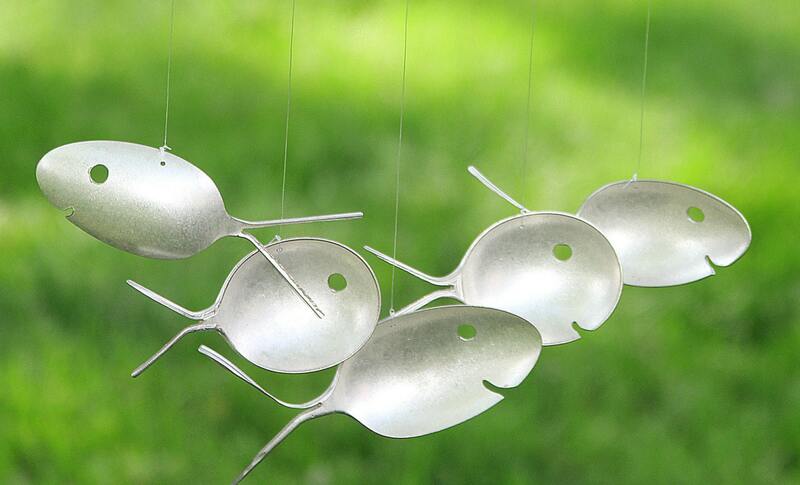 This rustic and charming wind chime is a perfect way to display your love for the lake. Featuring a Family Fishing off a drift wood boat. Sit back and Relax as the wind gently rocks the boat, while the fish swim playfully in the wind. 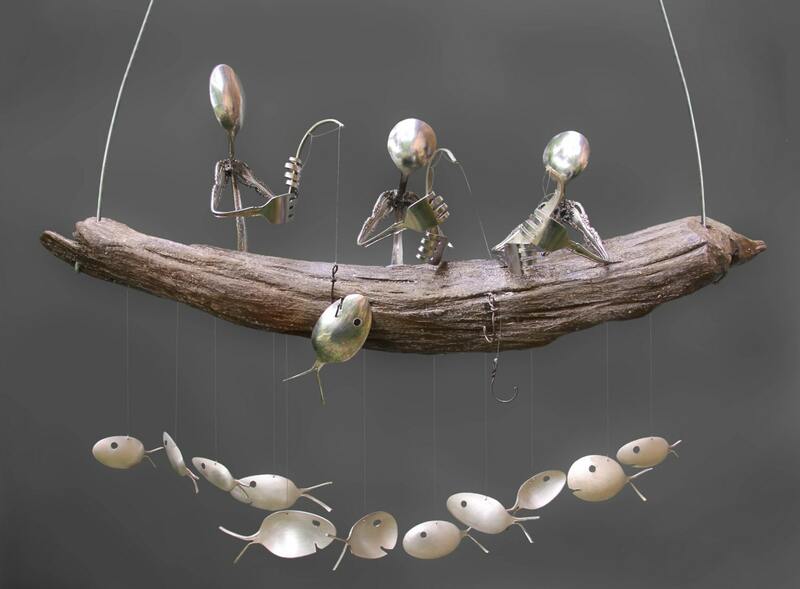 Fish create a wonderful relaxing melody. 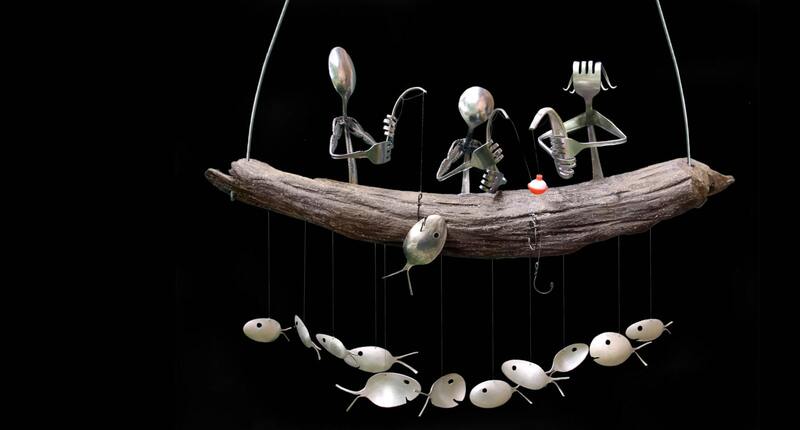 Fishermen are welded from a high quality stainless steel. 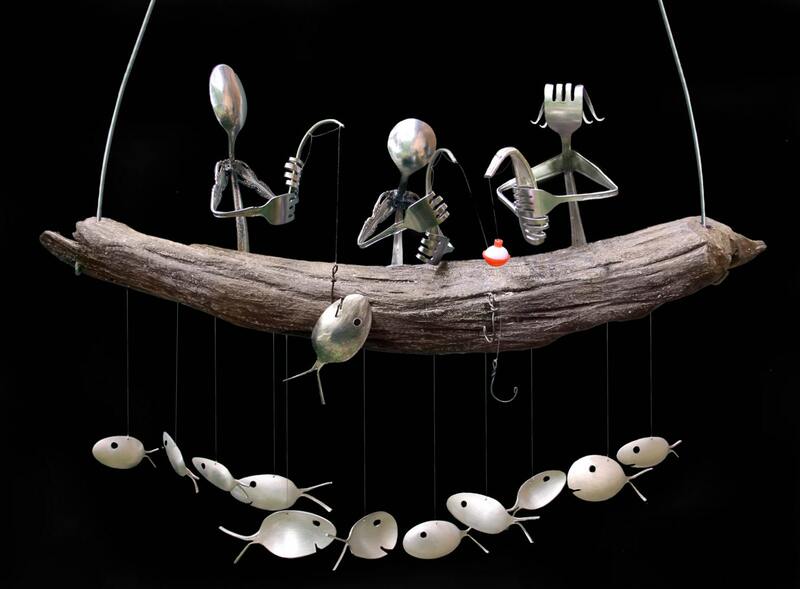 All spoon fish are up cycled from antique and vintage silver plated flatware. Driftwood is harvested from the shores and lakes of NC. All drift wood is cleaned, sealed & finished to ensure your enjoyment for years to comes. 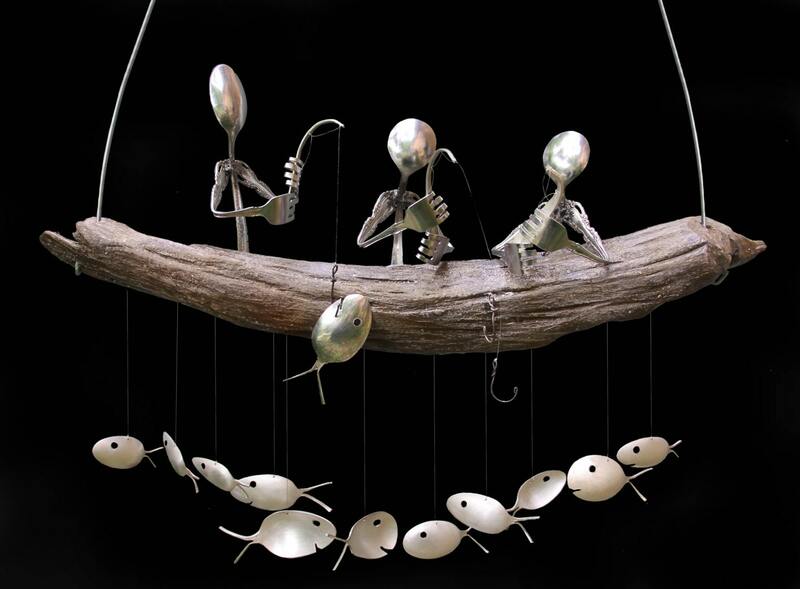 Each chime is unique yet is guaranteed to be just as charming as the ones pictured above. Fishermen may be changed to suit your family need.